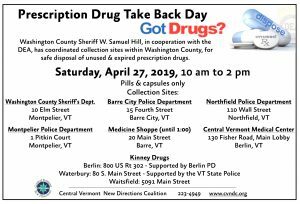 CVNDC is a local non-profit organization that encourages healthy behavior and decreased substance use among youth in our central Vermont community serving the U-32 and Montpelier school districts since 1998. We promote healthy choices and prevention of underage drinking, tobacco, and other drugs through education with schools, businesses, state agencies, and legislators. The Coalition relies on Advisory Board input from community members with diverse skills, experience and views. Do you see yourself as becoming part of a community health group committed to supporting prevention efforts? Would you like to make a difference? You choose how involved you wish to be – attend meetings and share ideas; help at downtown events; provide refreshments for parent education presentations; assist in various health campaigns; work with youth groups; or promote prevention at local and state levels. Meetings are held at 73 Main Street #33 in Montpelier, usually on the 3rd Tuesday of the month from 5:30 until 7 p.m. Currently seeking two youth board members. Meetings are open to all! Come join us! The Advisory Board shall consist of the Officers of the Board. The Officers must either work or reside in the coalition’s service area, consisting of the towns of Berlin, Calais, East Montpelier, Middlesex, Montpelier, and Worcester and/or those towns currently belonging to the Washington Central Supervisory Union or Montpelier School District. All elected positions shall serve one-year terms, elected at the annual meeting in September. Preside over meetings of the Board at Coordinator’s request. Be available for consultation with Coordinator or other board members about organization’s business. Serve as a liaison between the board and coordinator. Review with the Coordinator any issues of concern to the board. Initiate and participate in the annual review of Coordinator’s performance at the May advisory board meeting using a review process determined by members. Take meeting minutes at monthly board meetings. In the absence of the Secretary, the Coordinator and/or another board member will take minutes. Minimum one-year term from September-August. Be willing to commit to eight (8) out of eleven (11) board meetings. Become familiar with the organization’s mission, history, goals, programs, finances, coalition relationships, strengths and needs. Serve in leadership positions and take on assignments when necessary. Assist with the identification and recruitment of additional board members. 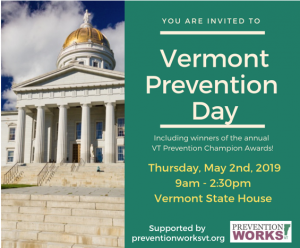 Advise and support Coordinator and work of Central Vermont New Directions Coalition. Be willing to help generate and support collaborative efforts. Consistently attend, prepare for and participate in board meetings. When ready to retire, give Coordinator at least one month’s notice and retire at end of term in August if at all possible. Facilitate the development of Central Vermont New Directions Coalition’s vision. Attend CVNDC events when possible to increase knowledge and awareness of the organization’s activities and demonstrate strong Board support for the organization. Believe in the inherent strengths of youth being full partners in community problem- solving and prevention efforts, and a commitment to fully supporting such a partnership. Represent a sector of the community such as law, media, parent, educator, etc. Experience in voluntary organizations and board governance is helpful. Willingness to become knowledgeable about the organization and have a belief in and commitment to the mission of CVNDC.